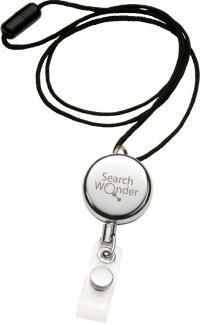 Promotional Items, Inc.™ invites you to select retractable badge holders, lanyards. Custom, printed with your logo ID badge holders and lanyards for promotional products. Custom badge holders and lanyards promotional products for ID badge holders, conferences, conventions, trade shows. Find an abundance of custom badge holder styles well suited to your particular need for logo customized badge holders. Custom lanyards for your promotional giveaways custom printed and at "blow your hat across the creek" cheap prices. Discount priced for bulk order retractable badge holders in plastic or metal construction for a variety of custom uses. 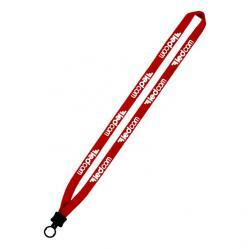 Lanyards are available with a plethora of optional attachments to suit your need for lanyards promotional products. Our custom lanyards are quality promotional products Made in the USA to help keep and create jobs in America. Simply scroll down this page to find the custom badge holders and lanyards for promotional products. Custom badge holders, fully retractable badge holders customized with a logo. 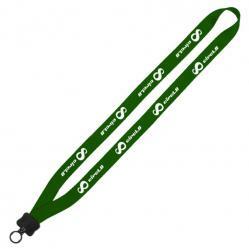 Lanyards printed with your logo for lanyards promotional products & giveaways.